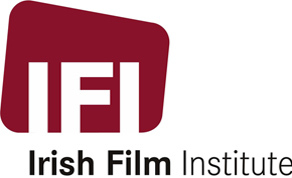 On Friday April 27th, the IFI will present its sixth annual IFI Spotlight seminar, a day-long focus on Irish film and television production, distribution and broadcast. This year’s programme will have a particular emphasis on experimental film and gender equality in Irish film and television, with a broad range of speakers and panellists throughout the day. IFI Spotlight is our annual event, now in its sixth year, where we dedicate a full day to focus on Irish film and television. This year’s edition promises to be one of the most engaging yet, as filmmakers, critics, academics and audiences review the Irish film and television output of the last 12 months, and look at important topics facing the industry today. The event offers a considered reflection and review that is essential for the development of a healthy Irish film culture. As in previous years, the day is split into morning and afternoon sessions. The day opens with a rigorous academic review of film and TV output in 2017, conducted by Dr Roddy Flynn (DCU) and Dr Tony Tracy (NUIG). This will be followed by a panel arguing the importance of cinema as an exhibition site for artists’ experimental film; the panel will include artist Jesse Jones and Christine Molloy of Desperate Optimists. After lunch, there will be a catch-up on the IFB/BSÉ funding strands introduced to achieve gender equity in 2017, plus a check-in with the BAI and IFI on existing gender equality initiatives. The day will conclude with a panel on artistic expression in the age of #MeToo and #TimesUp, which will address topics such as the merits and repercussions of artistic censorship cultural boycotts, and where the line needs to be drawn with artistic expression. This panel will include Tara Brady, film critic of The Irish Times, David O’Mahony, Head of Cinema Programming at the IFI, and will be chaired by journalist Hugh Linehan. Tickets for IFI Spotlight 2018 are now available from the IFI Box Office on 01-6793477 and from www.ifi.ie. Admission to either the morning session or the afternoon session costs €5 each, with an all-day ticket available for €8. A special lunch deal will also be available from the IFI Café Bar. For more information, please contact Michelle McDonagh (mmcdonagh@irishfilm.ie) at the IFI Press Office on 01 679 5744. Opening address from Professor Margaret Kelleher. Dr Roddy Flynn (DCU) and Dr Tony Tracy (NUIG) will review the film and television output of 2017 considering the continuing presence of Irish talent on the world stage, and will discuss fresh new work in film and TV drama, identifying new trends in feature film production. Chaired by aemi's Alice Butler & Daniel Fitzpatrick, a panel, including artist Jesse Jones, Christine Molloy of the Desperate Optimists, Fionnuala Sweeney (Arts Council) and Anja Mahler (Digital Repository of Ireland) - will argue for the importance of cinema as an exhibition site for artists. The discussion will focus particularly on the Irish context, exploring where - and why - in recent years moving image work by visual artists has at times fallen under the radar of the wider Irish film community. Annie Doona (Chair of Irish Film Board / Bord Scannán na hÉireann) will provide an update on the response in 2017 to IFB/BSÉ funding strands introduced to achieve gender equity in development and production within an agreed timeframe. Stephanie Comey will update on BAI strategies towards improved representation by women across various BAI-funded strands. The IFI will report on the 2017 introduction of the F-rating (hot on the heels of this session at IFI Spotlight 2017) and representation of women practitioners across IFI programme. The session will be moderated by Dr Susan Liddy, Department Media and Communications, MIC, Limerick. With a recent dramatic shift in consciousness regarding gender parity, sexual dynamics, harassment and abuses in the cultural sphere and other workplaces, this panel considers the responsibility of cultural providers, programmers and indeed audiences in presenting and consuming a range of work – some produced in contexts at odds with newly acceptable best practice.